Life on the water can be great. Sports and boating in this environment are extremely popular, and although the actual equipment is crucial, transporting it from one place to another is also important. For this, a boat trailer is needed. These are designed to launch, retrieve, carry and sometimes store boats. Owning a boat trailer can sometimes be a significant financial investment, so making sure that you have appropriate insurance can be a top priority for lots of people. Boat trailer insurance is a requirement for a range of different people who need a trailer to transport their vessel. These include those who use a boat in the course of their work and people who enjoy water sports, such as water skiing, kite boating, canoeing, kayaking, yachting, sailing, wakeboarding, rafting, jet skiing, powerboating, rowing, windsurfing or parasailing. Boat users who don’t have a permanent mooring or like to explore the coast or inland waterways could also benefit from insuring their trailer, alongside those who like fishing from their boat. Boat trailer insurance gives the owner peace of mind against any potential claims. Protecting against hazards such as theft or damage from severe weather is a main concern for many boat users. Working out what cover is the most appropriate is down to many factors. These include the value of the trailer, how old it is, how often you use it and whether you have the financial resources to replace it. Things like this will be taken into account and looked at in detail. 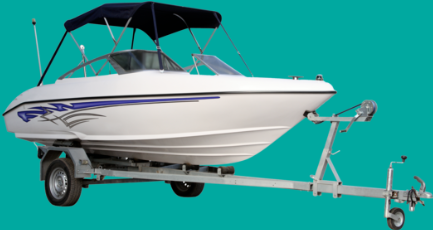 Boat trailer insurance often works hand in hand with insuring the actual boat. At Insurance Protector, we understand that you want to protect your assets and find the best and most suitable cover. Give a member of our team a call today and they will be able to help.